Indians drink very little wine. A host of newcomers, focused strongly on quality, are hoping to change that but they face formidable challenges. Krishna Prasad Chigurupati grew up in Guntur, Andhra Pradesh, a town better known for its chillies than wine. But it so happened that when Chigurupati was 17, a local bishop introduced him to fine Italian wines, making him an oenophile for life. By 21, Chigurupati was making wine at home from Bangalore Purple grapes in empty beer bottles, jars and even buckets. 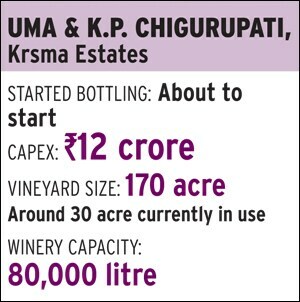 The founder and head of pharmaceutical company Granules India, Chigurupati, 58, along with wife Uma, has also started a wine making company Krsma Estates - a blend of their first names - headquartered at Hampi, Karnataka, close to the historic ruins of the Vijayanagar empire. The couple bought 170 acres of land there, set up a vineyard in 2008 and harvested their first grapes in 2011. They are about to hit the market with a Cabernet Sauvignon, priced at Rs 1,500 a bottle. 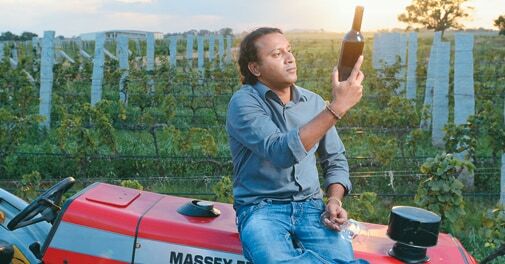 "I want the wine to reflect our spirit, our taste, our personalities," says Chigurupati. Krsma Estates is only one of a number of reserve wine making companies that have begun in recent years. There is also Fratelli Wines in Solapur, Maharashtra, an Indo-Italian joint venture. Three more are Karnataka-based - Alpine Wineries in the Kaveri Valley near Mysore, SDU Winery and ABS Vintners, both in the Nandi Valley, near Bangalore. 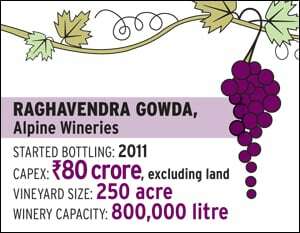 Raghavendra Gowda, founder of Alpine Wineries, hails from a family which has been in the country liquor business for four decades, apart from having interests in granite, hotels and real estate. 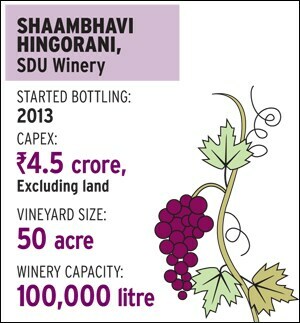 SDU Winery belongs to Shaambhavi Hingorani, daughter of former External Affairs Minister - and earlier, Karnataka chief minister - S. M. Krishna, who has been growing grapes since 2003. Before starting her own company in 2011, she was selling them to other wineries. 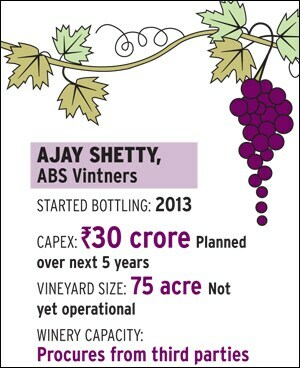 Ajay Shetty, who set up ABS Vintners, was formerly a banker with Merrill Lynch and Morgan Stanley. What unites all five is their focus on quality and premium wines - priced above Rs 500 a bottle. "Our volumes are not great but we are banking on quality," says Hingorani. "We have limited capacity. All grapes are sourced internally because we wanted to make sure we keep the consistency." Thus all of them, in their pursuit of excellence, want to own the complete chain from vineyard to winery. Currently, only Shetty of ABS Vintners does not - he buys grapes from contract farmers and gets the wine made at third party wineries, marketing it under the brand Myra - but he is clear this is a temporary arrangement. "The best quality wine is produced when you have everything in-house," he says. "But that takes five years. It's a long time to wait, doing nothing." He has bought land in Nandi Valley and believes, that having started out this way, he will have understood the market a lot better by the time his own grapes are ready for use. All of them are paying close attention to detail, which is imperative to achieve quality. The kind of oak barrels in which wine is kept while it ferments and ages, for instance, affects its taste and texture considerably. So, Chigurupati of Krsma has imported his oaks from France. "The minimum age of the trees from which my barrels are made is 180 years," he says. "We know which forest the oak comes from and what kind of tree." As also, Gowda of Alpine Wineries who focuses on the minutiae. "We leave our grapes out in the sun for a longer period than is usually done," he says. "We wait for them to acquire the right amount of acidity before harvesting. Another crucial feature is hygiene in the cellar where the wine is stored. We ensure there isn't too much water on the floor and there are no bad odours emanating. These small details play a huge role in determining the quality of the wine." Such passion is commendable - but how will the market react? The newcomers are bursting with optimism. 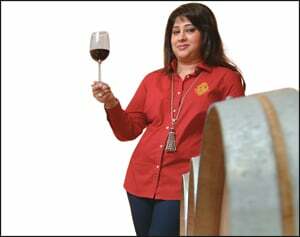 "Outside India, wine drinkers are usually over 30," says Kapil Sekhri, Co-promoter and Director, Fratelli Wines. "But in India we are seeing curiosity about wine even among 21 to 23 year olds. This is a very good prospect. These are the guys with the disposable incomes." Experts, however, agree that the road ahead for wine start-ups is unlikely to be smooth. Indians, comparatively, drink very little wine; they prefer liquor which quickly makes them tipsy. Wine has alcohol content between nine and 15 per cent by volume, while Indian spirits average 42.8 per cent. The country's per capita consumption of wine hovers around 10 ml per annum, or two teaspoons, according to a report from the Indian Grape Processing Board. In comparison, the Chinese knock back more than a litre of wine per person per year. Nor is the Indian's tepid response to wine showing any signs of changing. A report prepared by the US Department of Agriculture's Global Information Network says that while Indian wine production rose from 4.7 million litres in 2004 to 13 million in 2010, it has dropped since to 11 million litres in 2011, growing marginally to 11.5 million litres in 2012. Indian analysts peg the annual consumption at over 15 million litres but about 50 per cent of that is made up of the cheaper port wines, whose alcohol content is a notch higher at 16 per cent, and which are mostly artificially sweetened. Port wines are priced below Rs 200. Whatever market there is for premium segment has long been dominated by established players such as Sula Vineyards and Grover Zampa. There are also quality foreign wines such as Jacob's Creek and Yellow Tail available. Among local premium wine companies, only Sula is profitable. In contrast, most port wines make profits. There are also other hurdles - the amount of investment required, the scarcity of local technical expertise and various marketing and distribution bottlenecks. 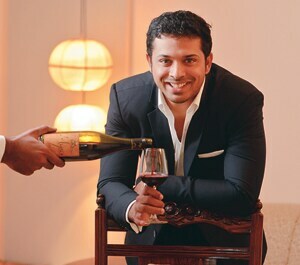 Wine consultant Alok Chandra concurs with the view of the start-up founders that to produce good wine, growing the grapes oneself is essential. "Setting up a vineyard and winery is a capital intensive process," he adds. "The grapes come in three years after the crop is planted, but they will not give you good wine till the crop is five years old." The initial investment alone - on land acquisition, planting the crop and setting up the winery - even before marketing and distribution costs kick in, can be around Rs 15 crore. Not surprisingly, all the newcomers are people with fairly deep pockets. "Until you make a good wine, you cannot sell," says Chandra. "And to do that, you need to spend. You have to pump in money from somewhere else to sustain yourself." It could take seven to 10 years for a wine producer to turn a profit. Thus Alpine Wineries, for instance, already has a Rs 60-crore bank debt. "We are considering liquidating our collateral to reduce the debt," says Gowda. "We are trying to bring it down by Rs 10 crore this year, so that the interest burden reduces." The company planted its 250 acre vineyard in 2007 and launched its wines in early 2012. It sold 4,000 cases in 2012 and is targeting 10,000 this year. "We need 25,000 cases a year to break even," Gowda adds. It is also difficult to get sound technical advice. The start-ups have been turning to overseas winemakers for help, but the latter often direct them to their own suppliers, who again charge steeply for any support. Marketing challenges arise mainly from the fact that many established winemakers have already offered distributors unrealistic incentives - such as one free bottle for each bottle sold - which newcomers find hard to match. mosimageHowever, all is not lost. If the wines are really good, there is always the overseas market. Krsma Estates, for instance, has the international market very much in its sights - Chigurupati notes that wine loving China alone can be a big market. Some of the start-ups have begun taking part in international wine challenges, and Indian wines are slowly being recognised. Says SDU's Hingorani, who recently attended the London Wine Fair: "There were many Indian companies there. India has evolved in the international market. My winemaker is very confident that our reserves too will be of global standard." To promote brand loyalty, the start-ups are also considering getting into wine tourism. Gowda is planning a restaurant at his vineyard and has cleared areas where tourists can put up tents, apart from creating a vast artificial pond where they can fish. SDU has tennis courts at its winery. The drive to the winery provides breathtaking scenery which can also be effectively exploited. It will be an arduous climb for the start-ups no doubt, but if they can sustain the quality of their products, not only are they likely to start winning awards and sell increasing volumes overseas, but India too could start figuring on the global wine map.